"The ultimate in water woo." - Skeptics Forum. A lengthy article from Dr David Gorski on "Raw Water", with references to other silliness. Worth a read, imo. Re: "The ultimate in water woo." Frankly I stopped reading fairly quickly - bad for my blood pressure, among other things. I've had amoebic dysentery, I don't recommend it. "It isn't so much the bottom falling out of your world, as the world falling out of your bottom." I expect your local authority has tested the local spring water for safety. Glad it tastes good but what about nitrates, other fertilizers, cow dung and whatever that might have got into it? A chemical analysis would make it clear. When I'm on holiday in the Algarve - not so far from you - the minimarkets are full of 5 litre bottles of water which the locals buy as well as visitors. (I have no idea if there is a reliable spring nearby.) With a full chemical analysis meeting EU standards, less than £1 for 5 litres is fine by me, assuming the plastic bottle is disposed of in an environmentally friendly way, of course. Well done, Buxton! I hope people make good use of it. Yes, cow dung, whatever, bring it on... I just love feeling terribly, well, bohemian. I have drunked from that pump. It is tested regularly (I was told). 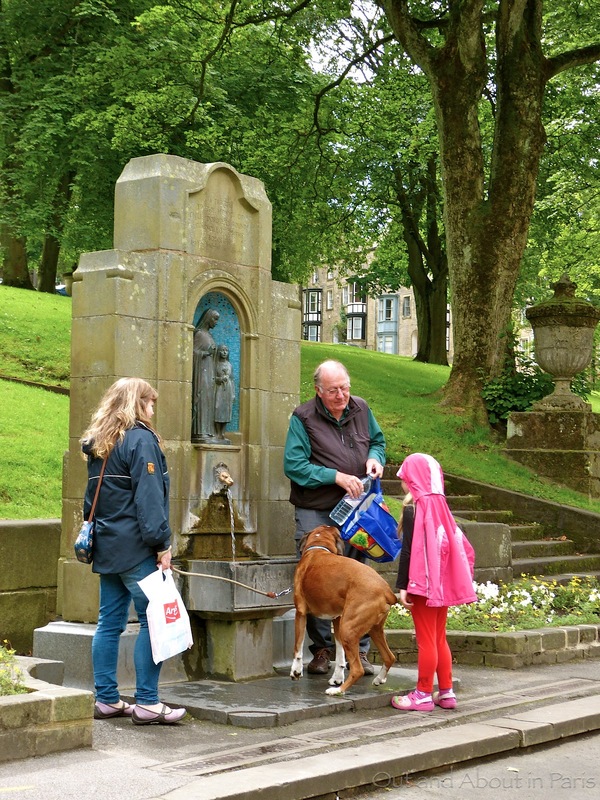 There has been local controversy recently (the "Buxton Water Scandal") as it sometimes stops working which is suspected to be Nestlé's fault (the bottled stuff is Nestle). I was amused to note that the big nearby spa hotel only had Scottish bottled water.